In a mysterious pyramid in China’s Qinghai Province near Mount Baigong are three caves filled with pipes leading to a nearby salt-water lake. There are also pipes under the lake bed and on the shore. The iron pipes range in size, with some smaller than a toothpick. The strangest part is that they may be about 150,000 years old. Dating done by the Beijing Institute of Geology determined these iron pipes were smelted about 150,000 years ago, if they were indeed made by humans, according to Brian Dunning of Skeptoid.com. And if they were made by humans, history as it is commonly viewed would have to be reevaluated. The state-run news agency Xinhua in China reported on the pyramid, the pipes, and the research began by a team scientists sent to investigate in 2002. Another theory is that it was built by prehistoric humans with techniques lost to humans of a later period. 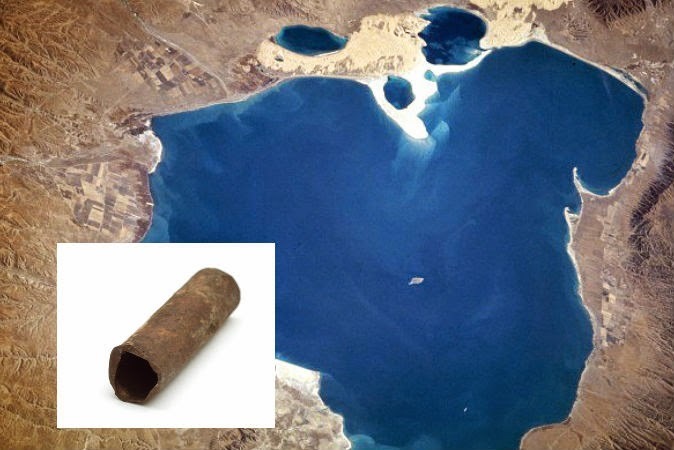 The pipes lead into a salty lake, though a twin lake nearby contains freshwater. 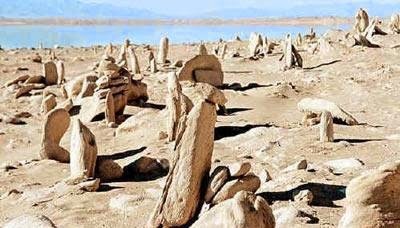 The surrounding landscape is strewn with what Xinhua described as “strangely shaped stones.” Rocks protrude from the ground like broken pillars. To further add to the mystery, Zheng Jiandong, a geology research fellow from the China Earthquake Administration told state-run newspaper People’s Daily in 2007 that some of the pipes were found to be highly radioactive. Jiandong said iron-rich magma may have risen from deep in the Earth, bringing the iron into fissures where it would solidify into tubes. Though he admitted, “There is indeed something mysterious about these pipes.” He cited the radioactivity as an example of the strange qualities of the pipes. Others have said iron sediments may have washed into the fissures, carried with water during floods. Though Xinhua and other publications in China have referred to a pyramid or even a mysterious pyramid in which the pipes were found, some have said it was a pyramid-shaped natural formation. 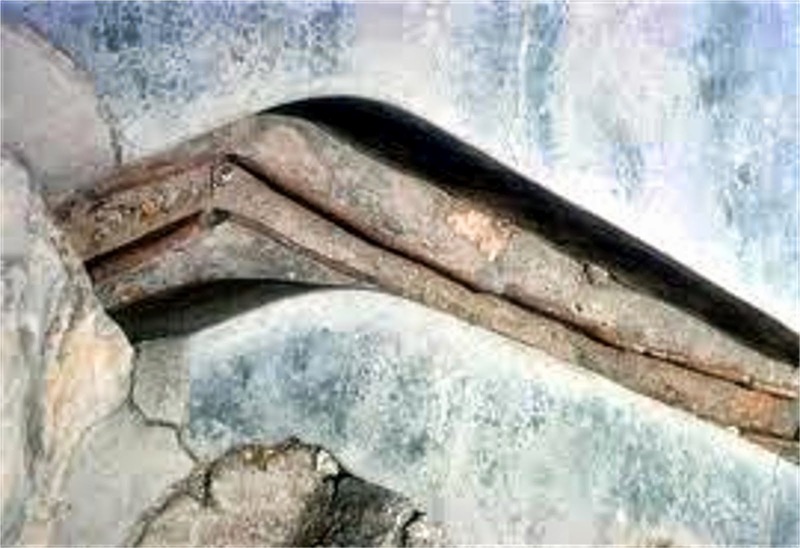 Another theory is that the pipes are fossilized tree roots. Xinmin Weekly reported in 2003 that scientists found plant matter in an analysis of the pipes, and they also found what looked like tree rings. The article related the finding to a geological theory that in certain temperatures and under certain chemical conditions, tree roots can undergo diagenesis (transformation of soil into rock) and other processes that can produce iron formations. Reports on the tree-root explanation for the so-called Baigong pipes often lead back to this Xinmin Weekly article or lack citation. It’s unclear exactly how well-supported this theory is in relation to the Baigong pipes.